Now that the weather is getting cooler, and school has started, it’s more likely that children will get bored and experiment with household items. You are also more likely to have collected household items that are considered toxic or hazardous to humans due to your seasonal gardening, lawn or other household maintenance duties. Many garden insect sprays, bottles of cleaner, bleach, pesticides, and even your organic fertilizers can be hazardous when ingested by young children. 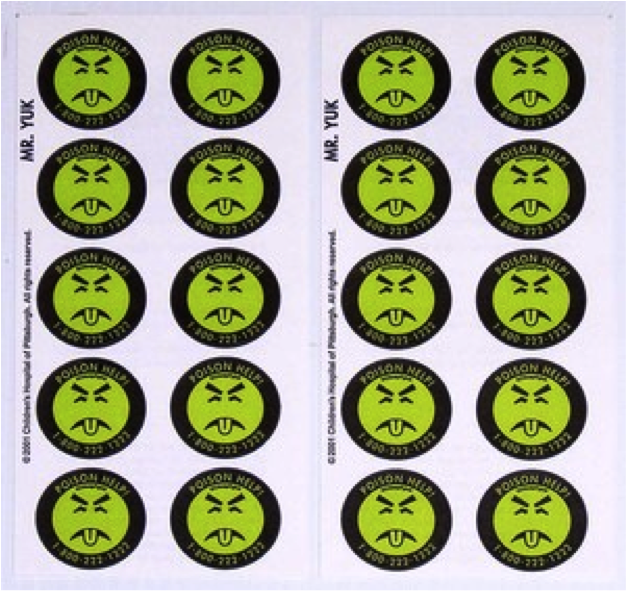 I don’t know about you, but when I was a kid, Mr. Yuk™ stickers were law in my household. I am not saying that my sister, brothers and I NEVER got into the hazardous materials, but we were much less likely to invade anything labeled with that ‘yucky’ green face. My parents slathered bottles, cans, and containers of all shapes and sizes for a number of years throughout my childhood. My siblings and I are first hand proof that this program works! Curious about those helpful little stickers? So was I, and so I did a little research. Mr. Yuk (seen above and right, if you haven’t already recognized him) was the first poison education symbol in the nation, launched in 1971. He was created by the Pittsburg Poison Control Center as a means to educate families about poisonous materials and prevent improper use of hazardous household materials (including ingestion). 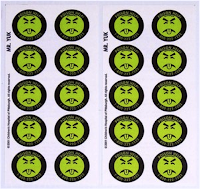 Every Mr. Yuk sticker is labeled with the name of the nearest poison control center, and the national toll-free poison help telephone number (which is 1-800-222-1222). 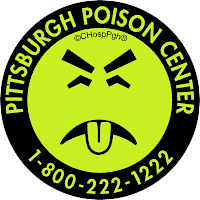 The Pittsburg Poison Control Center (PPCC) employs highly trained toxicology nurse specialists who respond 24 hours a day, 7 days a week, to an estimated 150,000 poison emergency phone calls every year. And that’s not all they accomplish for Pennsylvania! The Pittsburgh Poison Control Center serves nearly 6 million residents in 44 counties of Pennsylvania. They consult with national businesses and industrial corporations regarding poison control and safety, and developed a hospital-based poison treatment system involving 70 hospitals in western Pennsylvania. Mr. Yuk is still used in households all over the country. 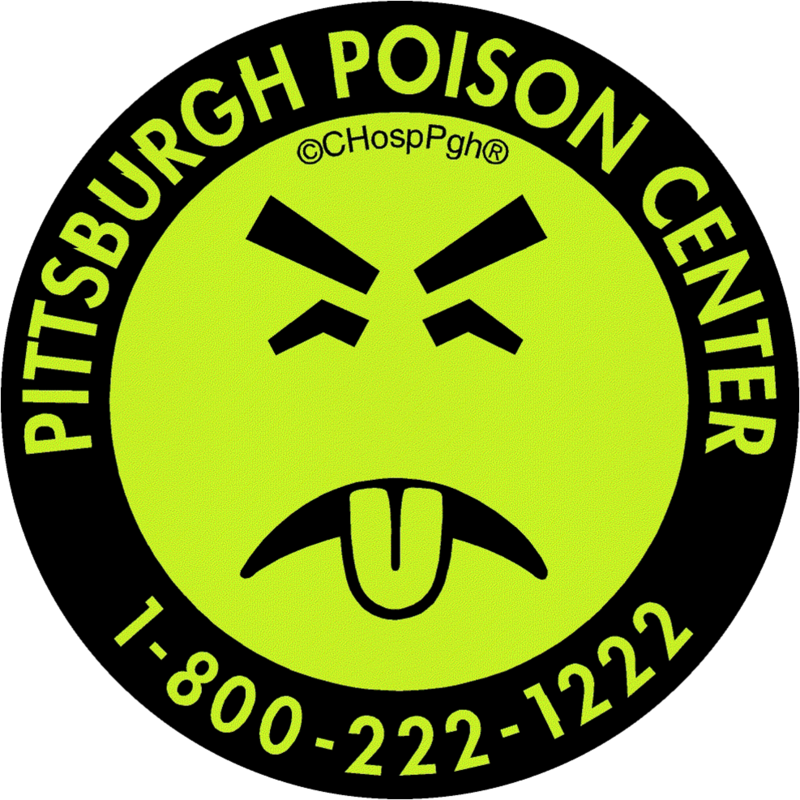 Each state has a Mr. Yuk that keeps residents in touch with their closest Poison Control Center. 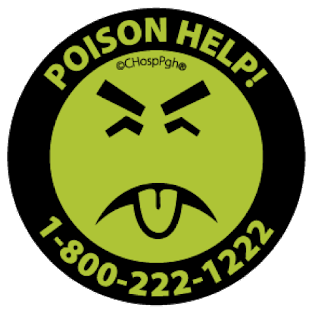 For residents of Pennsylvania, The Penn State Cooperative Extension can help you prevent poison emergencies by linking you to the Pittsburg Poison Control Center, and those wonderful stickers! For those of you who may feel a bit nostalgic upon seeing that old familiar face, the original commercial that ran in the early 1970's during the Mr. Yuk campaign launch has been cleaned up from an old VHS recording and posted on YouTube by a fan. Click on the link below to view. A Master Gardener Story in Volunteerism.